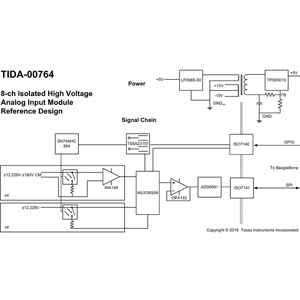 The TIDA-00764 reference design is a high voltage analog input module with eight channels. Each channel can be used for both, voltage and current measurement. The TI Design uses the 16-bit analog-to-digital converter (ADC) ADS8681 that can handle input voltage of up to ±12.288V. 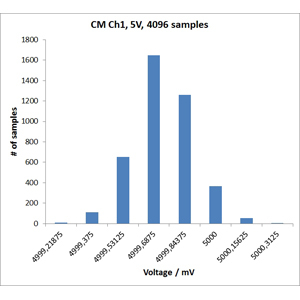 This make any preprocessing of standard input voltages in the industrial space unnecessary. In addition, four channels of the design are able to handle common-mode (CM) voltages of up to ±160V. 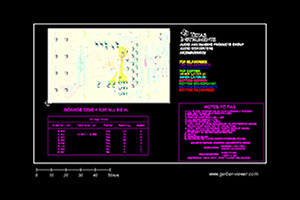 Therefore, the user does not need to worry about ground loops or compensation currents flowing between the connected inputs.